Nessie is the tiniest of the Undergrounders but she has a big personality! 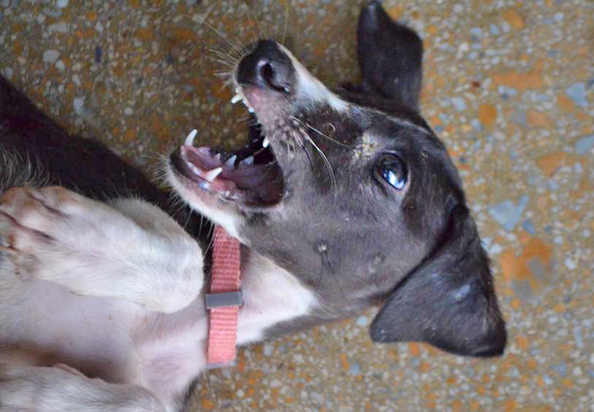 Nessie is one of the nine Undergrounder galgo puppies who were rescued from caves in the earth dug by their mother to protect them from the relentless sun and keep them safe. They were all suffering from mange and are being treated. Sadly, Wellington did not make it. Efforts are underway to catch the parents who remain quite illusive. Yes, I am interested in sponsoring or adopting Nessie!